I’d like to take a moment to talk about power. Electric power that is. We all have a craving for it as it powers everything we do with digital photography. If you’re completely digital gone are the days of being able to manually adjust your camera and still get shots without the need for a battery of some kind. And that’s why it’s even more important to consider where you’ll get your power when traveling. In this article I’ll concentrate on just the what/how/where of keeping your camera shooting while in populated cities and towns. I will write later about the unique aspect of filling your power needs while in more remote locations. For those traveling to and through ‘modern civilization’, charging of batteries has various needs; camera, flash, portable storage drive, laptop to name a few. Concentrating on mainly camera and flash batteries (typically AA) let’s take a look at some of the basics needed to keep the juice flowing. The first thing to check before packing is your charger. 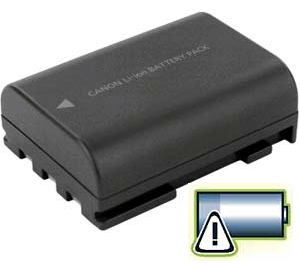 Speaking specifically of camera battery chargers, these days most are universal, meaning they can take a wide variety of inputs and make it work. The world over, there are a lot of different ways electricity gets delivered into homes and hotels. For instance, in the USA power is delivered to standard wall outlets at 120 Volts (V) and 60 Hertz (Hz). V and Hz are the two variables you will notice while traveling internationally that mean the most (besides adapters, covered next). In the UK, power is delivered at 230V and 50Hz. A universal charger will be able to handle a wide range of inputs. For instance, the charger here on my desk for a Canon battery has an AC input range of 100-240V and 50/60Hz. So it will work in both the USA and UK. And for practically any other standard outlet in cities around the world for that matter. Take a look at your charger; is it universal? If you bought it in the last four years, chances are the answer is yes. If it’s not, you’ll need to purchase a converter, which will convert the current from what’s coming out of the wall to the specific V and Hz your charger needs. A convert, covered in a minute, is not to be confused with an adapter. If you’re looking for a good chart of different power outputs and wall plug configurations, take a look at ElectricalOutlet.org. Adapters are what make the physical plug ends of your charger work with the different holes in the wall. And that’s all they do. But it’s important because different countries have different configurations as you can see from the link above from ElectricalOutlet.org. There are two basic types of adapters: 1) All in One and 2) Individual configurations. All in One adapters tend to be bulkier than single adapters but they take the guess work out of what to pack if you’re heading to more than one country. The Kensington model pictured right is a good example. One end has a bunch of holes in it to accept the standard plug from your battery charger. It doesn’t matter which country you come from, these adapters have the right set of holes. On the other end is some form of plugs. In this case, different plugs slide out depending on which country you are visiting. Each slider is clearly labeled for the group of countries you’re visiting. Pretty easy. The down side tends to be the bulk of the unit. I’ve found when using such an adapter that not all wall outlets are brand new (an understatement) and a loose outlet means this heavier adapter tends to fall out. Individual configurations are lighter and simpler but have a number of parts. Take a look at the picture (to the right) of the Sima SIP-3 Ultimate International Travel Adapter Plug Set. Whew, the name obviously isn’t simpler. I own and have traveled with this adapter and it works well for me. It comes in three parts and they all nest together. The nice aspect of this type of set is I can take just one of the three if I’m only visiting ‘like plugged’ countries. I like to pack light so for me this is a bonus. Converters will actually convert the power from a foreign outlet to the power you need. For instance, you are traveling from the USA to Europe on vacation and your battery charger is not universal. On the back it clearly states, “Input – 120V 60Hz”. You need a converter that will take the 240V and 50Hz from standard European outlets and ‘stop it down’ to 120V and 60Hz. If you attempt to plug your charger into a standard European outlet using just an adapter and not the converter in this instance, bad things will happen. Overheating batteries, fire, explosions and possibly the end of civilization. So please make sure to use a convert if your battery charger doesn’t indicate it’s universal. Adding a power strip simplifies life. With a power strip you will only need one of the items above instead of one for each gadget you need to charge. Monster makes a great travel power strip (pictured right) because it is light and folds into itself. Not only will a power strip let you charge your camera battery, laptop, iPod and cell phone all at the same time with just one outlet, you can earn extra credit in the airport if you’re not the one hogging the last outlet. And if there are no free outlets available while you wait five ours on your layover, it’s very easy to pull out a power strip and ask if you can share an outlet. I’ve honestly thought of carry spare power strips and selling them while on the road from all the positive comments I get when sharing space. And they work even when you don’t know how to say, “Can we share this outlet?” in German. Just hold up the power strip and point to the outlet with a smile and most sane people are happy to share. For travel in the modern world to populated cities and towns, the items above will help keep your batteries topped off and your camera alive. In a future post I’ll explore some options for those heading out of town and possibly off the grid. Anybody used Solar cells to charge batteries? Besides, they say there are two voltages in Cuba - 110 and 220 . Happily, most of the chargers eat both. You need a converter that will take the 240V and 50Hz from standard European outlets and ’stop it down’ to 120V and 60Hz. Second, if you go to your usual electronics shop you'll find two main kinds of converters. They're usually marked 50W and 500W or something of the sort - "W" stands for Watts, which is a measure of the power you can run through them. It may seem odd, but the higher-power converter is usually cheaper, which may lead you to pick it up as a "bargain". Beware! The 50W converter is what you want - it's a transformer, and it will convert 240V to 120V all the time, no matter what. The 500W converter is just a resistor, and those converters are intended for things like hair dryers which (a) pull pretty close to 500W in use (that's about 5 amps of current at 120V), and (b) don't really care a lot if the voltage varies. If you don't draw the full power through the resistor, the voltage will be higher than 120V - maybe MUCH higher. If the voltage is right at 120V for your hair dryer at 5Amps, it's going to be very close to twice that if you just pull the measly 0.15Amp marked on the charger. What a great gift idea. I was stuck for something to give my son-in-law who travels a great deal. Not bad for myself as well. Thanks. I do a lot of travelling (70+ countries to date) including many weeks away from reliable power sources. And indeed if there is power then usually you've got no time to take advantage of it. The simplest answer I've found is to take lots of batteries. You charge them when you can (eg car inverters) but the best thing is to take a small power board so you can charge multiple things at once. Htere are plenty of cheap chinese made powerboards all around the developed and developing world. Thanks a mil for the informative lesson on electrical outlets, plugs, converters and adapters. It was always a mystery for me, but not anymore! How about charging from a small solar cell on your backpack? Could I just attach a mains power plug to the solar panel and then connect the standard charger to that? Oh a blocking diode would help as well. I am traveling to Tanzania and Uganda in March and will look forward to your advice on powering up in countries where power is limited. I can second bringing along a power strip, or what I do, a kind of multi-faced plug that allows several AC-adapters to plug-in and does not take up a lot of space in your bag. Having a power strip is especially helpful when on a cruise as there are never enough power outlets if there is more than one photographer in the cabin. Also, I almost always have a car when on vacation and I carry a power converter that fits into the cigarette lighter. You only have to have the normal plugs you use at home and you can charge batteries while driving. What I do when I go on vacation is to pack a simple tote bag which serves as a "power station." I use a power strip and have all of the various chargers that I'll need in it... camera batteries, flash batteries, cell phones, etc. It's a simple process to pull ut the poser strip cord, plug it in and you are pretty much ready for business. Brilliant article very informative really likes the power strip at the end for its many practical reasons you covered alot of things people would skip over only to find out when they got there. I once ran out of juice halfway through the second song of our three song allocation while shooting Metallica once. I'd forgotten that my new superdoopa lens chowed batteries like it was going out of fashion - ever since then I've made sure I have more than ample back-up! Jeff - I understand that you may not think it's rocket science, but there are some people who may be unaware that not everyone in the world uses the same power sockets, or indeed, the same power. Most cameras take batteries you can't simply nip into a supermarket and buy when they run out - you need to be aware of how to charge them in 'unusual' circumstances. Is this really an article about how to charge batteries? "Use the charger, an adapter if you are abroad and maybe a power strip if you have lots of things to charge." Really? Noooooo way. Go DPS. Always check with other photographers from your country who have travelled to the country you are going to. I made the mistake of buying a "universal" power adapter from Future Shop (in Canada). When I went to Cuba to shoot a wedding, I plugged it into the wall, no problem. Then I plugged in my APC power bar. It fried the powerbar almost instantly. The power surge was greater than what the powerbar could handle and it ended up dying on the spot. Luckily I didn't have any equipment plugged into the powerbar, so I only ended up with a fried power adapter & powerbar. The experience only cost me $80. I not only recommend the proper power adpater for the country you are visiting, but also a good brand(APC, Powerware, Tripp Lite) powerbar that has surge protection. I was still able to shoot the wedding, thank god, because I found a 110 circuit in their "computer" room. So every night, I went in there and plugged in all my equipment in there. One point to be wary of: I was trying to purchase an adapter for Japan (2 round pins) for my Australian (3 flat pins) chargers, but none of the adapters available in Australia had a slot for an Aussie earth pin (since Japan does not use earth). I had to wait until I got to Japan and purchase an adapter there. In German it's: "Wollen wir uns die Steckdose teilen?" (if the other person is allready using the outlet you want to share) or "Wollen wir uns eine Steckdose teilen?" (if the other person is looking for an outlet as well and you offer sharing the searching effort as well as the outlet). All good advice. I'll be really keen to see a future article on more remote recharging, e.g. while hiking, etc.